You are here: SUPERMARKT > Blog > Arts & Commons > Performing the Media launched at Supermarkt on April 3rd. Performing the Media is the second exhibition in the framework of Net.Specific, which is the platform for internet art from the Museum of Contemporary Art in Roskilde (DK). This exhibition deals with how identity can be constructed in online space and through the tools that the net gives the artists and users to work with. The exhibition frames a broad understanding of the topic and how personal representation takes different shapes, with the web functioning as a transformative and critical space for action. The exhibition was launched at an event at Supermarkt on April 3rd. The launch event started in the afternoon with the FB Resistance Workshop hosted by artist and internet activist Tobias Leingruber. This three hour workshop was divided into three parts, where Leingruber first introduced his own artistic practice, then the technology used to make the hacks and in the last part the participants tried this out in practice and created their own small interventions. Leingruber is in general very critical towards social media and works with the possibility for the user to gain more control over his/her own individual use of these services. The evening program started with an introduction to the Net.Specific project, the Museum of Contemporary Art and the exhibition by curator Tina Mariane Krogh Madsen. 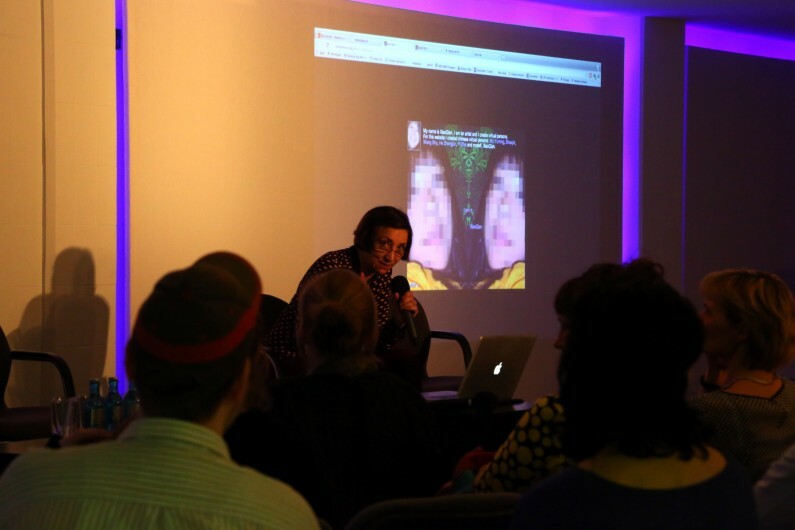 After this presentation, artist Martine Neddam introduced her new project My Desktop Life, which is a CMS Tool in development for the public to create their own narratives through alternative self-representation online. Neddam gave examples of how to use this tool in practice and also showed films created with the tool. Additionally she also brought with her the programmer James Hudson. He introduced shortly how the system was created and the technical sides of the project. In today’s overflow of tools and sites for self-expression, Neddam’s My Desktop Life creates a more illustrative and poetic, non-profit alternative to the well-known sites for self-publishing. The project centers around how difficult it is to find a visual identity, how this can differ into various ways of representation. The project also encapsulates how different contextualizations and visual combinations can create new spaces of communication and intimacy for the users. The last presenter of the evening was Tobias Leingruber. He gave an introduction to his FB Resistance Workshop that had taken place in the afternoon. Leingruber also gave examples of his way of performing the media, including introducing his project Social ID Bureau, which is exhibited in the Net.Specific framework. 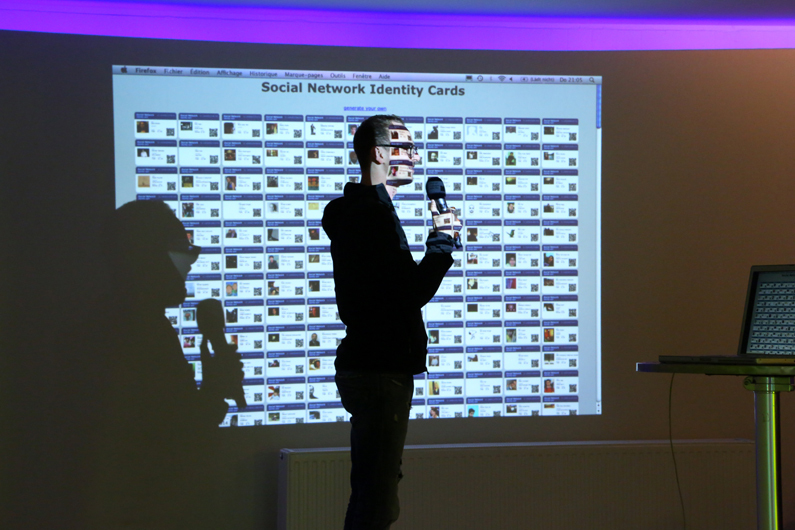 Social ID Bureau was actually an offspring of the resistance workshops and started as a performance series, where the first was held at Supermarkt in March 2012, where Leingruber made physical ID cards for the visitors. For the Performing the Media exhibition, the project website is shown with documentation and a generator. The site documents the cards that have been generated, where it is still possible to generate and print you own Social ID Card. 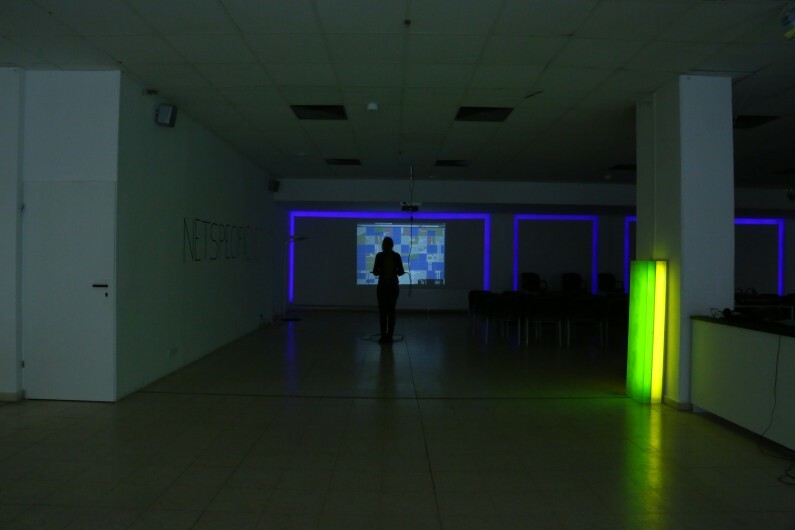 In the Supermarkt space was additionally projected a remote performance by Johannes P. Osterhoff: The Map Is Not The Territory. 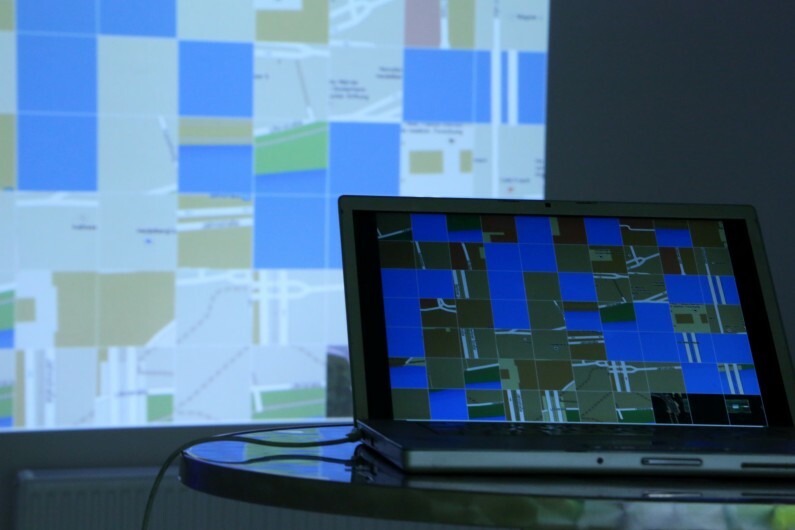 In this new performance piece Osterhoff deals with alternative representations of tracking and location. These are shown via randomly distributed map tiles, showing Osterhoff’s real-time location. 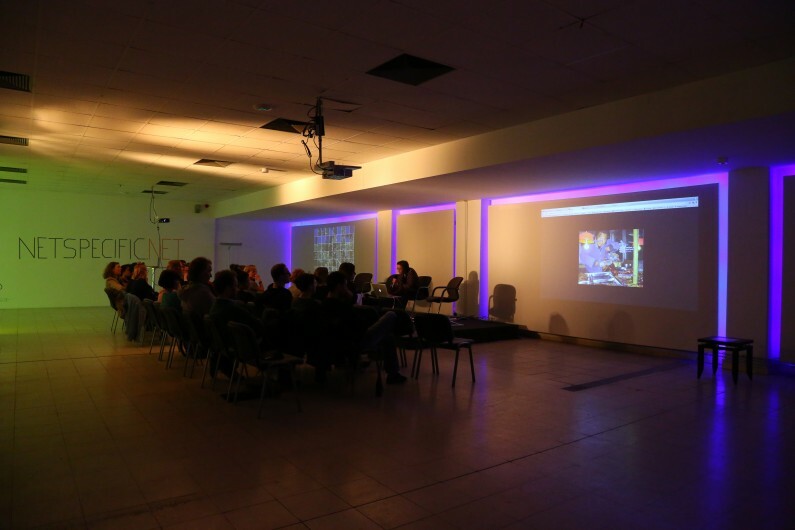 This creates a distributed and networked presence of the artist in the event space.